The Review History feature helps you examine all user reviews for the selected period of time. 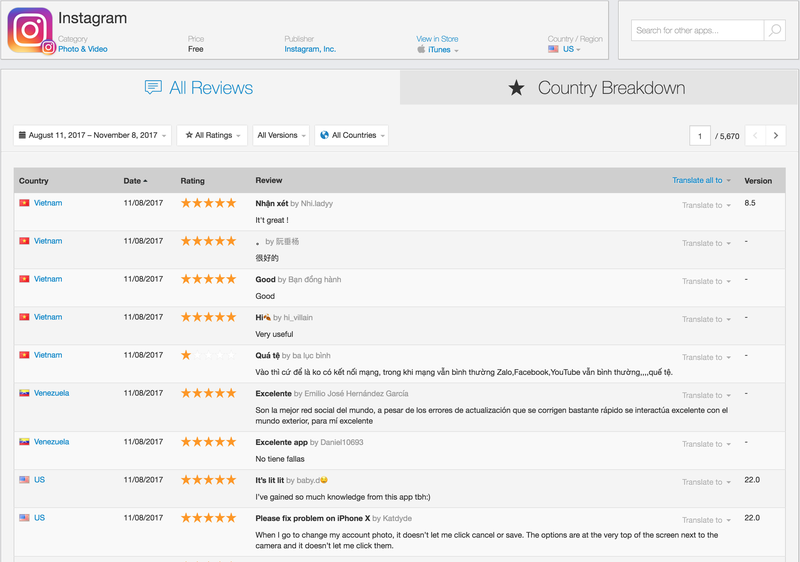 In the All Review tab, you can filter the reviews by rating, app version, and country. By browsing user reviews, you can evaluate the effects of app updates, price changes, and other modifications based on user feedback. You can examine reviews and understand user needs. With Review Analysis, available to Enterprise users, you are able to dive deep into user sentiment and analyze these reviews. 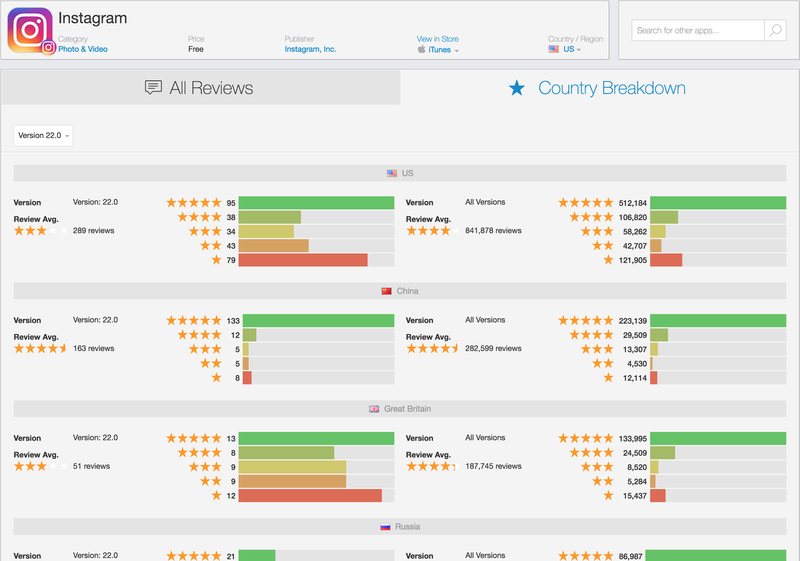 The Country Breakdown tab shows review metrics for a specific app version for all countries in which the app is available.